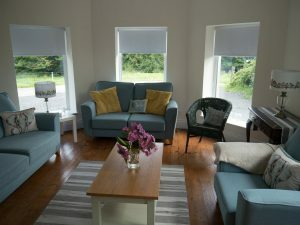 For yoga holidays in Ireland, yoga retreats ireland or Spa centres in the West of Ireland, Blaney Spa and Yoga Centre offers yoga classes, holistic massage therapy and spa treatments, as well as hot tub and sauna. Set within the orchard of Innish Beg Farm, Blaney Spa and Yoga Centre Ireland enjoys some of the finest views over lough erne. At Blaney we will help you leave the busy world behind at the door. Our facilities and treatments are sure to revitalise and heal your body, mind and spirit. Experience private treatments, join in regular yoga classes or unwind with us on exclusive day packages or holistic breaks. At Blaney the door is open to all. Start your healing journey here under expert guidance. Leave only to come back. Only this time he’s practising yoga with Gabriele Tottenham in County Fermanagh, Northern Ireland. Watch Gary and Danielle trying out some yoga moves here at Blaney Spa and Yoga Centre on the BBC Northern Exposure website. 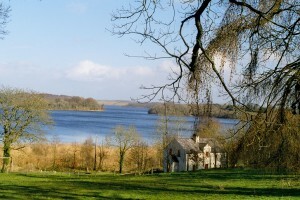 "Yoga retreats and spa breaks in the heart of Fermanagh Lakelands." Blaney Bay CottageTraditional Renovated Cottage Rental, Ireland. 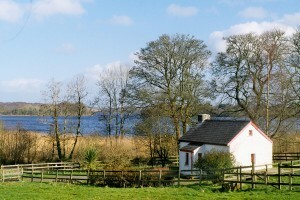 Blaney Island Cottage4 Star Self-Catering Cottage Rental, Northern Ireland. 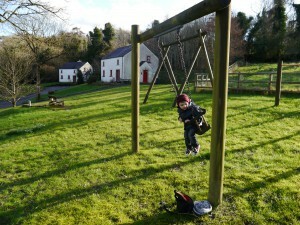 Pushen Island CottageTraditional Irish Cottages – Vacation Rentals. Ashley’s Lodge5 Bedroom house sleeps up to 14 guests. Country Lodge sleeping up to 14 in a beautiful setting overlooking Lough Erne, for yoga retreats, hen parties and holidays. This state-of-the-art retreat, with airy studio, underheated wooden floors, sauna and hot tub, as well as adjoining Innish Beg Cottages, all overlook Fermanagh’s lakelands. Stretch out for a massage and look out over the lake, or take a morning yoga session on the decked veranda. I strolled just two minutes from my whitewashed cottage to watch the sun come up over the water. You can have all the hot tubs and saunas in the world, but diving in off the jetty is detox heaven. What a fantastic way to spend a day! Thank you so much will definitely be back again. Blaney Spa never lets me down, love it. First class day. Great massage. Beautiful place so relaxing and a wonderful massage, the prefect afternoon! WOW never experienced such warmth and hospitality Be back. We are glad we have been here, its a lovely place and we had a nice time here. The children like the play garden and swimming in the lake. You have a great nature reserve and nice views. Eight girls two nights had an amazing time. Turf fire and hot tub, really comfortable house. Looking forward to coming back. "Set within the orchard of Innish Beg Farm, Blaney Spa and Yoga Centre Ireland enjoys some of the finest views over lough erne. Leave, only to come back." We are situated seven miles from Enniskillen at Blaney Bay in County Fermanagh, a lakeland area of unspoilt natural beauty renowned for its superb fishing, peace and tranquillity. Just a short drive from the Wild Atlantic Way we are ideally situated as your base for exploring throughout the west of Ireland. Copyrights © 2019 All Rights Reserved by Blaney Yoga & Spa Centre.